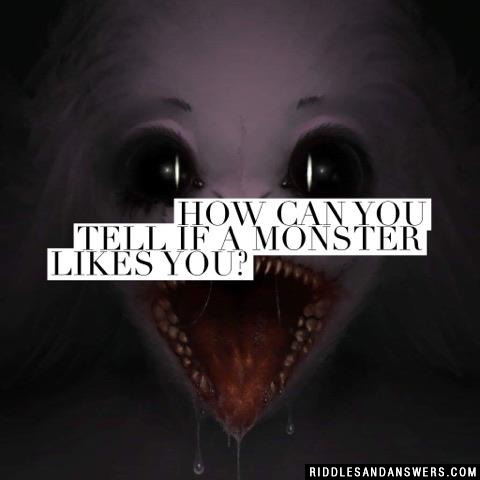 How can you tell if a monster likes you? Why couldn't the monster go to sleep? It was afraid there were kids under the bed. Where do sea monsters eat? Who helped the monster go to the ball? 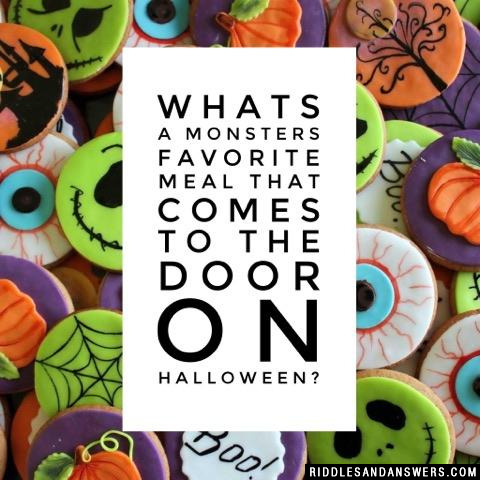 Whats a monsters favorite meal that comes to the door on Halloween? A girl scout with cookies! If a monster has 13 giant chocolate chip Halloween cookies in one hand and 10 super large orange covered Halloween cookies in the other, what do you have? A monster with big hands! 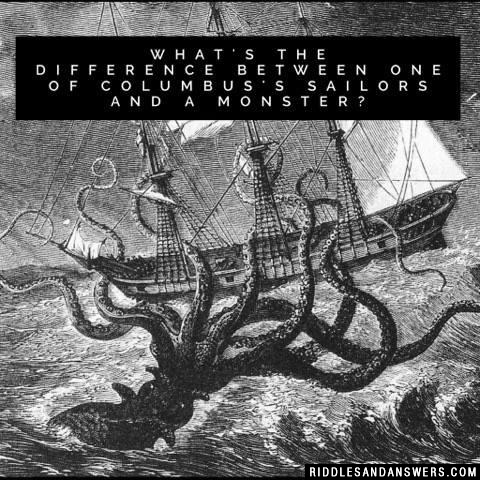 Can you come up with a cool, funny or clever Monster Riddles of your own? Post it below (without the answer) to see if you can stump our users.